HOW TO KEEP YOUR ROOM CLEAN | RAWR BOWS. Hello! I must confess that, when I am in London, I am a bit of a organisation freak. When I am back home I am anything but organised but as soon as I go through the UK border, my dark side appears. My room must be perfectly organised and clean if I want to be somewhat productive. If my bed is unmade, clothes on the floor or papers scattered across the room I cannot work. 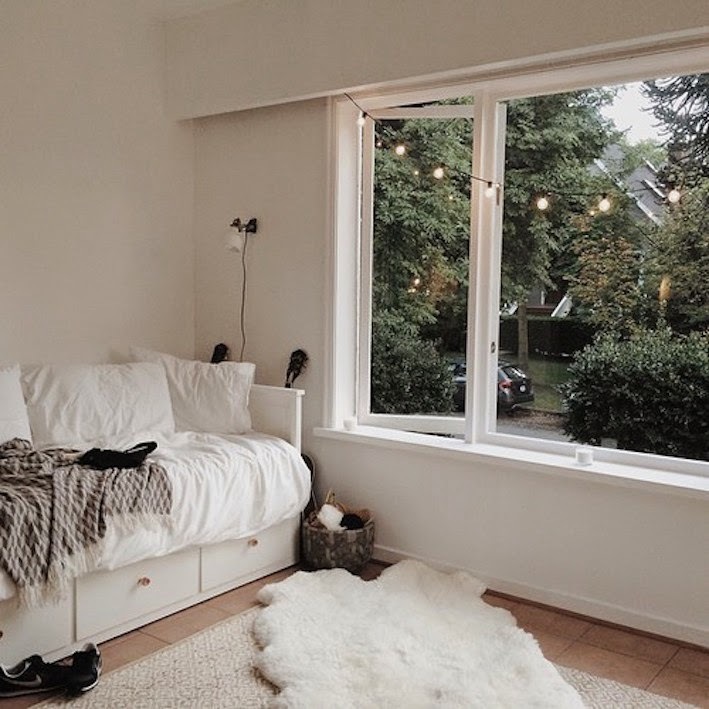 However, I don't like spending one hour everyday making my bed look impeccable so I've developed a few tips to keep my bedroom clean and looking organised without wasting too much of my time. MAKE YOUR BED ASAP. One of the first things I do when I wake up is make my bed. I never never leave my flat in the morning if my bed is not made. It's a very simple and quick thing to do and it makes the room look much less messy. KEEP YOUR CLOTHES IN YOUR CLOSET. There's nothing worse than having clothes all over the floor, desk, bed, chair, everywhere. Once you start piling up your outfits on a random chair it will never stop as no one really fancies folding 15 t-shirts and 10 jeans. However, if you fold all your clothes right after showering at night (or whenever you take off your clothes) and put them in you closet, it'll be much easier and you'll avoid having a room that looks like a bomb has exploded. HAVE A BIN IN YOUR ROOM. It just makes things much much easier. If you're eating something that's wrapped, or you have some dirty tissues, used cotton pads, etc it's very handy to have a bin right there so that you don't have to go to the kitchen or wherever to get rid of your trash. GET FOLDERS. If you go to school/uni you are likely to have a decent amount of papers and sheets. It might be tempting to just leave them there on your desk in a pile but you'll regret it later when you want to find something or you realise that your desk is a real mess. Try to get a few folders and dividers to organise everything and keep your desk clean. So these are some of my tips to keep your room looking decent and clean! What are yours?